Free to use, in any application you like. Hi d3stroy ..I love your icons..You made perfectly..
Can I use these icons for my android application, which are embedded Admob? 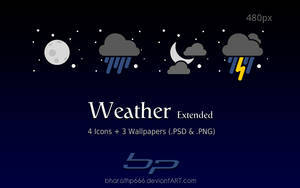 This application uses the weather images created by d3stroy (d3stroy.deviantart.com/). 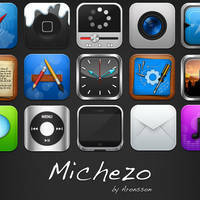 Hello, i like these icons and applications. How can I install that in Mike's Weather Station? I'm developing a weather app for Jolla. I'd like to use your icons for that. I'd also need to rip raindrop/lightning/snow flake, since the app would be using those for particle animations. Is that cool? Finally I found an awesome weather icon set. I really like these icons and would like to use them in an application. Do you have them in a bigger size (e.g. 512 x 512 px) ? The moon reminds me of the Deathstar. 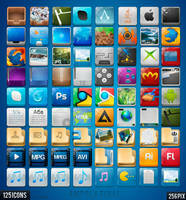 Good set of icons! 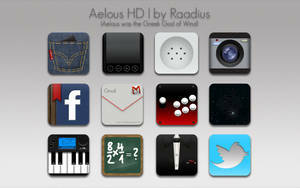 The next version will have a feature to use other icon sets but I want to keep yours as the default. Of course I will add credits to you in the next version. beau et original en bleu!! very nice weather icon set. Lovely design with nice tone on the sun too I like your icon set a lot. thank you, very nice icons.